Interesting announcement from Intuit who recently unveiled a new developer portal that aims to be a one-stop shop for docs, tools and SDKs for developers wanting to build applications for small businesses. Intuit has for the past few years been experimenting with different approaches towards its development platform the Intuit Partner Platform (IPP). Initially it was designed as a web based tool to integrate third party SaaS apps back into the core Intuit product. More recently however the company moves from that approach and created an Intuit-centric version of Facebook Connect – essentially allowing developers to “embed” QuickBooks data and functionality within specific parts of their application. It’s fair to say that the IPP has never really hit it out of the park in terms of developer adoption, this despite the fact that it’s actually a pretty compelling proposition. This new initiative attempts to solve that problem by giving developers as many tools as possible to aid them in developing integrated applications. 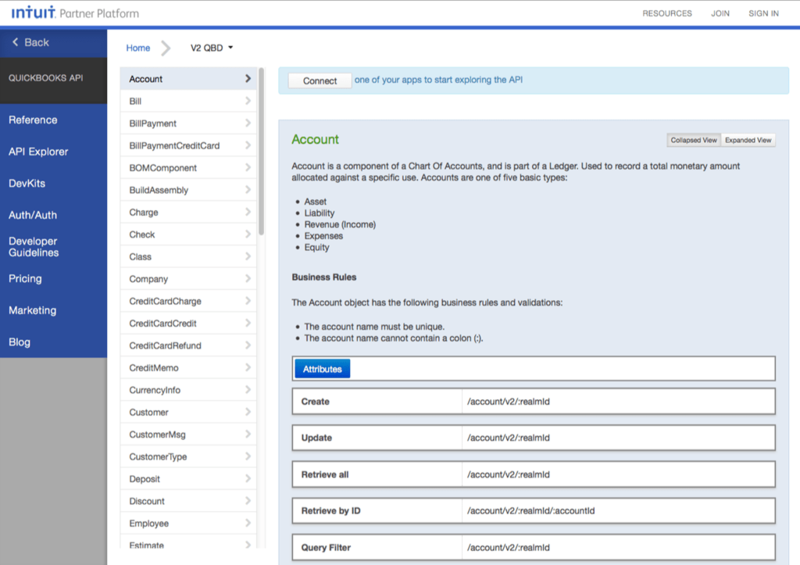 The new portal helps developers on their journey through the world of Intuit APIs – it attempts to make it easy for developers to on-board, learn, integrate, publish and manage IPP apps. According to the company there will be an integrated and API explorer, as well as educational videos that dive a bit deeper into two of their top APIs – QuickBooks (which grants them exposure to more than 4.8 million small businesses worldwide) and Customer Account Data. Community support and information sites like Programmable Web, and third party API documentation and management platforms like Mashery, 3Scale and Layer7 all try and ease the burden for developers building to an API set. Having spoken with developers building third party application integrations with SMB SaaS products, it would appear that a lack of documentation, test code and management of the core integration components is at best a reducer of efficiency and at worst a barrier to success. A developer portal is a useful tool to help with these issues. A developer portal however is only useful if third party ISVs actually want to build to those APIs. Time will tell whether that is the case for Intuit. One would think that the lure of nearly 5 million captive customers would be sufficient to attract developer attention – in fact I have spoken with developers who have put up with the pain of difficult integration processes simply because of the lure of gold mind of potential customers. To this end, anything that intuit can do to reduce the integration barrier is a positive step for themselves, their ecosystem and ultimately their customers. Ben, I agree with your assessment. I worked with a client to integrate with hosted QuickBooks some years ago. The API changed with no notice, the docs were limited at best, and there were differences in hosted vs. desktop API support. We were able to weather the storm, but the startup was not willing to take on the constant updates to their product to maintain a working integration. For products like QuickBooks, it was assumed that developers understood how their product worked. Providing code examples, cookbooks, and code/libraries for common integration scenarios will be required, not just API docs. Doing so will help bridge the gap with developers not familiar with their products or accounting software in general. Let’s hope that they make it happen, as Intuit has a robust set of products with a rich history that would benefit a variety of third party integrations.